This past year has been a roller coaster for Roanoke’s Bravest! I have not been immune to what is going on either. We have seen a lot of stuff happen over the past 12 months and I imagine we have more in store for us in the future. One thing is for certain…we are stronger when we are together. That statement is testament to when we have banded together as well as when we should have but didn’t. Most of all, thanks to my Brother and Sister Firefighters in Salem, Vinton, and Roanoke County. You all were there when we needed you and you stepped up to help. We are forever indebted. Should the occasion rise when you need us, we will be there. This past year, the Roanoke Fire Blog had 129,000 pageviews and 62,000 visitors. That is 30,000 more than the year before….nobody really reads this stuff do they? 5. 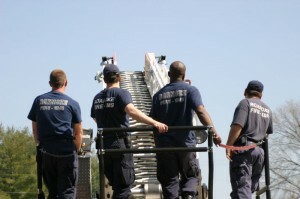 Aerial Ladder Training at Station 13 – Roanoke Station 13 C Shift trained on Ladder 13 the other day. The idea for training came from VentEnterSearch.com. If you have not viewed the website, it is a must read. Both myself and Captain Willie Wines Jr. have had articles posted on the site and have utilized the site for training and other ideas. The collaboration of so many great ladder draggers has proved to be very insightful for many things that I had not even thought of before. Even though I am not a ladder dragger, I have been able to utilize ideas for basic firefighting as well as hone my knowledge of truck work. After all, I have to be able to ride the truck just as well as the engine. In addition, how often do you find hose jockeys doing truck work in Roanoke due to our short staffing on our ladder trucks. 4. Battalion Chief Audie Ferris Retires – Battalion Chief Audie Ferris retired on April 8th after working for the Roanoke Fire Department and Roanoke Fire EMS Department for 28 years. Ferris was hired on November 20, 1980 and was promoted to Battalion Chief in 1999 if my memory serves me correctly. His most recent assignment has been BC of Southside A-Shift as well as being in charge of HTR and the Swift Water Rescue Team. 3. 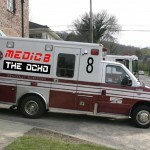 “The Ocho” – a new twist on an Old Station - Big things are in the works for Station 8, or as they are calling it now “The Ocho”. As the story is unravelling, the details are slowly seeping out. Everyone knows that Medic 8 was supposed to go in service in July after the 6 positions are moved back within City limits from Clearbrook (County #7). What was unforseen was the quick scramble to get the medic truck in service by next Tuesday. It is unclear exactly why we didn’t requisition a new medic unit and furnish it with new equipment. Instead, medic 8 will be using Reserve 904 with a full supply of extra equipment. The only thing I have heard is that Roanoke City Manager Burcham wants it in service by Tuesday. 2. If you want to be a clown… – Chief Billy Obenchain – To say that he was the most beloved firefighter would be a gross understatement. He was known and loved by so many. Not just for his leadership and managerial qualities as a Chief but also because he was a great firefighter. 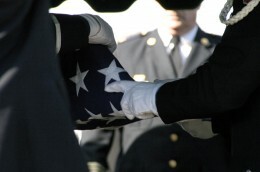 He served in many roles and ranks within the Roanoke Fire Department and later the Roanoke Fire-EMS Department. His tenure as Battalion Chief might have been shorter and he might have continued climbing the ranks had he not become ill. You never know, he might have become a Deputy Chief or even Chief of the Department. 1.Captain Chris Brown - It is with a very heavy heart that I inform you of the passing of Captain Chris Brown. 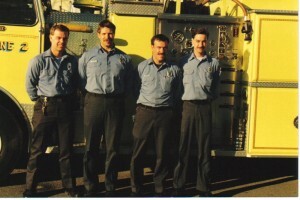 Chris was hired on August 2, 1994 and was the Captain at Station 1 on C-Shift. He was a second generation firefighter. 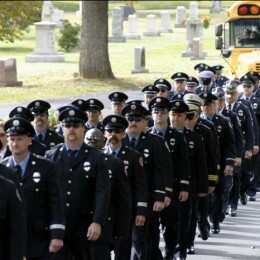 His brother Mark is the Lt. on Engine 5 C-Shift and his father (deceased) retired from the department as a firefighter. His mother retired from the Roanoke City Occupational Health Clinic as an RN. Needless to say, his family has dedicated their lives to the City of Roanoke.